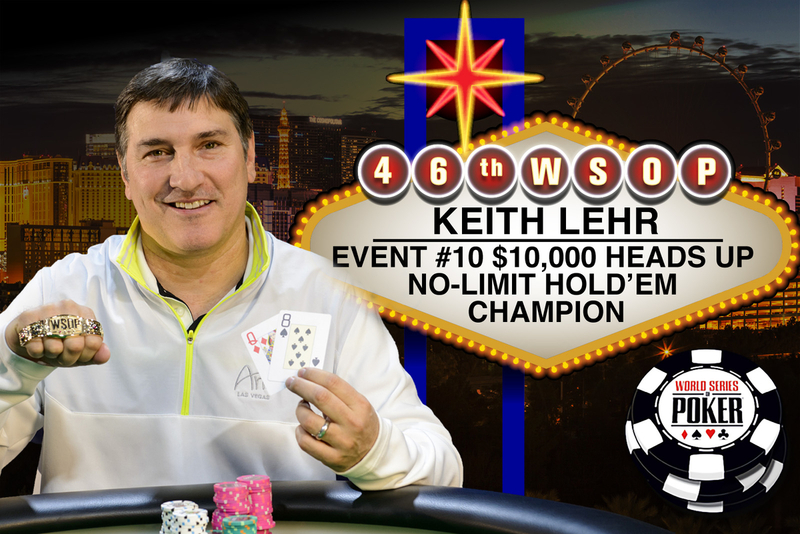 It’s official – Keith Lehr has earned his 2nd World Series of Poker bracelet after taking down the 2015 WSOP $10k Heads-Up Championship (Event #10) for $334,430! What’s not official, however, is whether there was a cheater in the midst in the final rounds of heads-up play. Several of his opponents have alleged that 5th place finisher Valeriu Coca was not playing a straight game. Keith Lehr adorned his second WSOP bracelet on Thursday after defeating a field of 128 entrants in the 2015 WSOP $10,000 NLHE Heads-Up Championship. It’s been 12 years since the American poker pro collected his first piece of jewelry in a 2003 WSOP $3k PL Holdem event worth $255k. His latest win put another $334k in his pocket, bringing his career live tournament total to $2.18 million. Lehr faced fellow American Paul Volpe in the final heads-up battle; one that turned out to be much quicker than his previous 6 opponents. It took just 24 hands for Lehr to overcome Volpe, but it wasn’t an easy task. Paul commanded the table early on, up 4.495mm chips to Keith’s 3.185mm by hand #9. But by hand #16, the tides shifted heavily when Volpe got the majority of his chips in on Ace-High. Having flopped top pair, Lehr called him all the way down to a 1.2mm bet on the river. After tanking for a bit, Lehr made that call as well. His Jacks prevailed and he took a strong lead of nearly 3-to-1 in the counts. From there, it was just a matter of time. The next 7 hands were a mix of walks and bet-folds, leading up to hand #24. Volpe raised 80k from the button, called by Lehr before the flop came down 7c-6h-3d. A few raises later and a tanked called by Volpe brought the Qs turn. Keith Lehr wasted no time shoving his stack. Volpe hesitated before calling with his remaining 1.5mm. Lehr tabled Qd-8s, good for top pair, but Volpe’s 6s-3s was ahead. It looked like Paul would survive and snag a huge pot, but the 8c river put an end to the day. Keith Lehr hit QQ-88 to beat Volpe, claim the last of the chips and win the coveted bracelet, along with $334,430 for 1st. For his impressive efforts, Paul Volpe was awarded the 2nd place prize of $206,620. On a side note, Volpe is well on his way to another high-money finish, ranked second in chips behind Jason Koon in the 2015 WSOP $10k PL Holdem Championship, where just 10 players remain in contention as of writing. Amidst the celebration of Keith Lehr’s win, a much darker story was brewing in the background. Valeriu Coca, who was eliminated during the Round of 8 by Lehr, was being accused of cheating his way to that position. His primary accuser is Connor Drinan, who lost to Coca in the first money-round of the tournament (i.e. Drinan walked away empty handed). 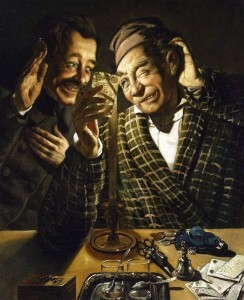 Drinan said that Coca played very slowly, double checking his cards often and always waiting for Drinan to look at his cards before Coca would lift his own. In short, Drinan accused Coca of marking the cards. Connor said Coca played perfect against him up until he started waiting for Coca to look at his cards first. Once Drinan became more guarded, he said Coca was clearly uncomfortable, started folding and playing worse, although he still won the match. According to Drinan, Coca’s other opponents felt Valeriu was playing strangely as well and suspected something underhanded was going on; including Keith Lehr and Byron Kaverman. When it was all over, Kaverman lead the charge by filing a complaint with WSOP Tournament Director Jack Effel, who called for an immediate investigation. Accusations of cheating are extremely serious. Already, many poker pros have scorned Coca’s accusers for being sore losers. But in the case of Valeriu Coca, there is at least good reason to be suspicious; not just because of his mysterious behavior in the 2015 WSOP HU Championship event, but because he’s been caught marking cards before. According to reports, Cocoa spent a great deal of time hustling poker players in Prague. As the story goes, he would start at low limits, playing terribly and losing often, then move up to high limits where everyone wanted to play against him. That’s when sources say he began marking cards, and after a short while, played a very loose aggressive game that saw him winning consistently. This went on for months before a dealer finally noticed the cards were visibly marked, with all Aces and Kings ever-so-slightly bent at the corners. Valeriu Coca was subsequently banned from all Prague casinos, and players who faced him back then said he played the same way as he did in the 2015 WSOP HU Championship; slowly, asking for opponent’s chip counts and waiting for them to pick up their cards before he did. Is Valeriu Coca a cheater, or a very calculating poker player who got into the heads of his opponents to earn the 5th place prize of $54,545? We will have to wait until the WSOP finalizes its investigation to know for sure.